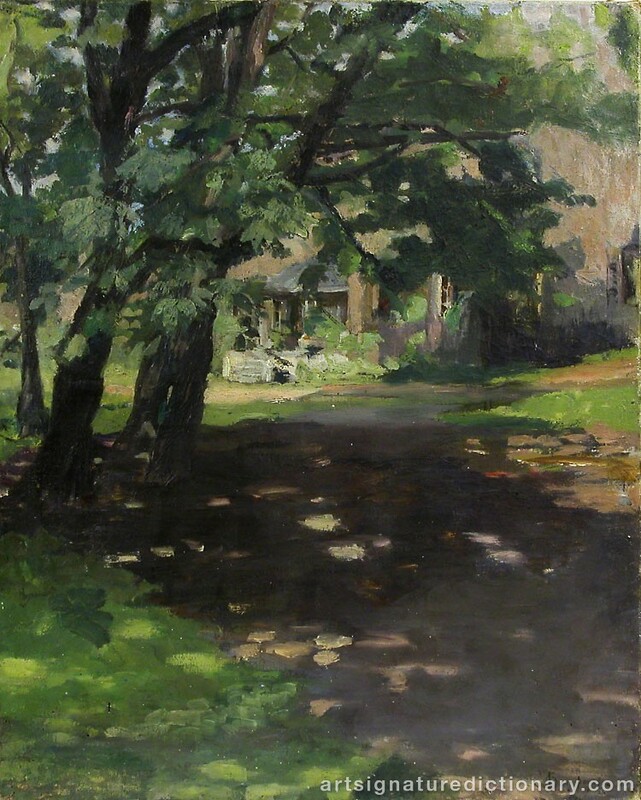 Oil on canvas, not framed, about 60x45 cm. 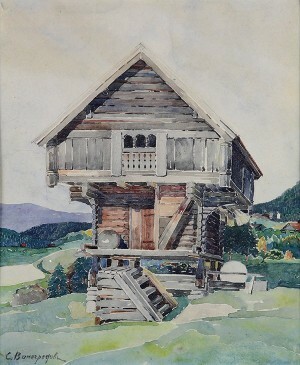 The painting was submitted to an auction house in the Swedish town for sale. It was suspected that the painting was not genuine. 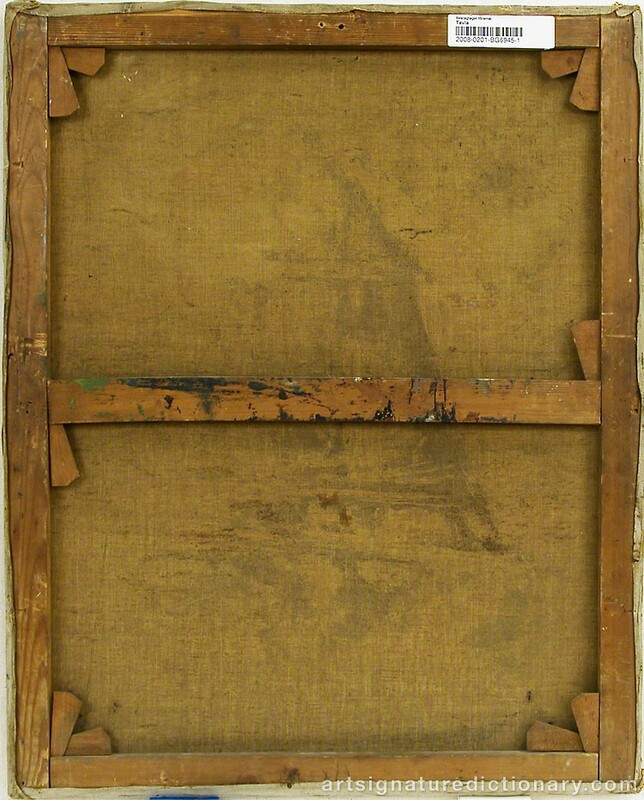 Police were called and the painting was confiscated. 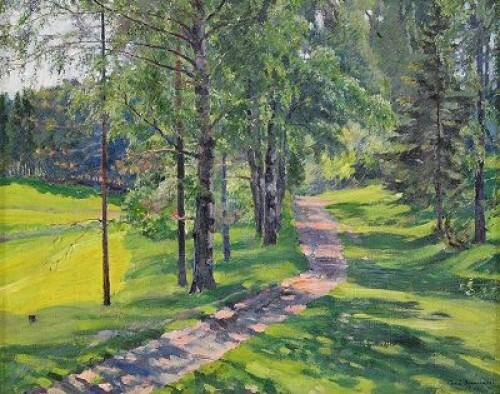 After examination and expertifiering by Vladimir Petrov was judged the painting to be fake signed and not performed by Vinogradov. Submitter (the owner) is present in previous police investigations in similar contexts. Court: The signature must be removed thereafter the painting be returned to the owner. 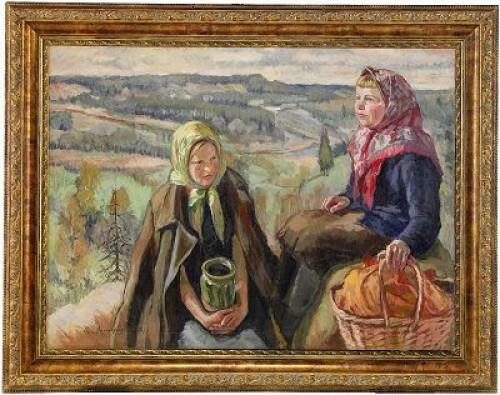 Warning: There is a risk that the painting will return to the market, then with a new forged signature. 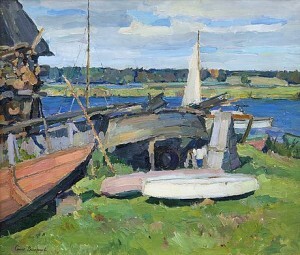 Olja på duk, ej ramad, ca 60x45 cm. Målningen lämnades till ett auktionshus i en mellansvensk stad för försäljning. Där misstänkte man att målningen inte var äkta. Polis tillkallades och målningen togs i beslag. Efter undersökning samt expertifiering av Vladimir Petrov bedömdes målningen vara falsksignerad och inte utförd av Vinogradov. Inlämnaren (ägaren) förekommer i tidigare polisutredningar i liknande sammanhang. Domstolens beslut: Signaturen skall avlägsnas därefter ska målningen lämnas tillbaka till ägaren. Varning: Det finns risk att målningen åter kommer ut på marknaden, då med en ny förfalskad signatur. 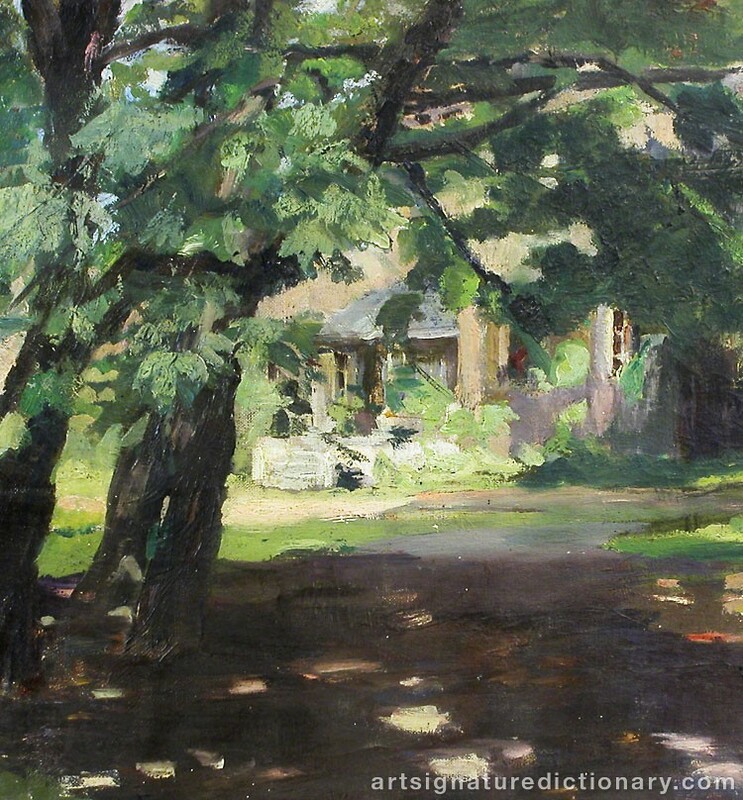 Sergei Vinogradov was a leading Moscow Impressionist whose painting offers an excellent reflection of the original evolution of the Russian School of Impressionism. 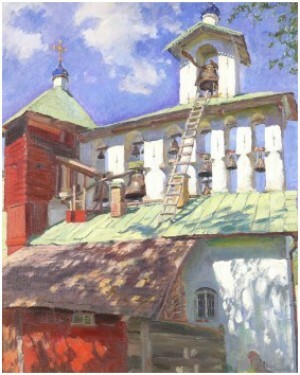 Vinogradov produced a large number of subjectless genre works depicting peasant figures.